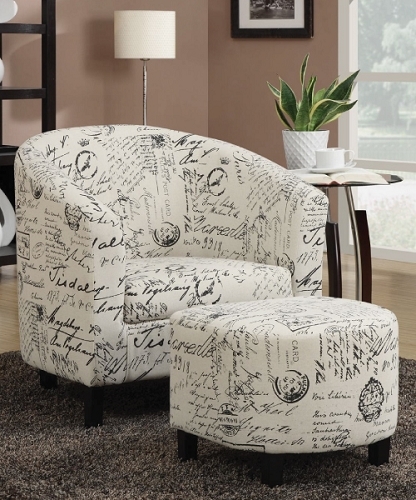 This patterned charcoal barrel back chair features an ultra soft exterior, a chic look and plush seating. Matching ottoman is included. Measur: 29.5" x 31" x 33.50"
Ottoman: 19" x 17.75" 16.5"